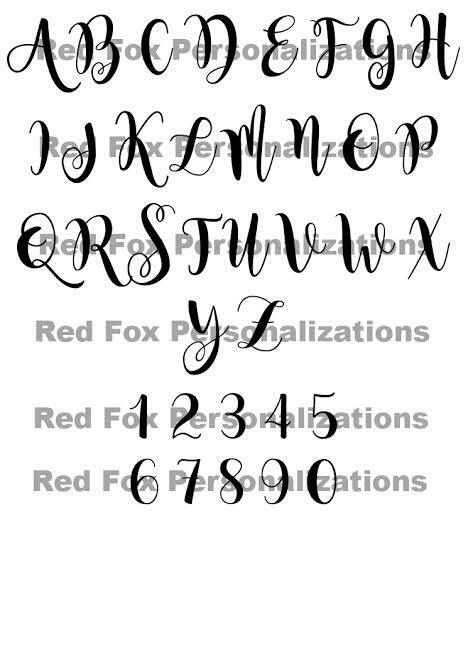 This sign is deep laser engraved and color filled with a antique white color. It is a cherished keepsake for any couple. 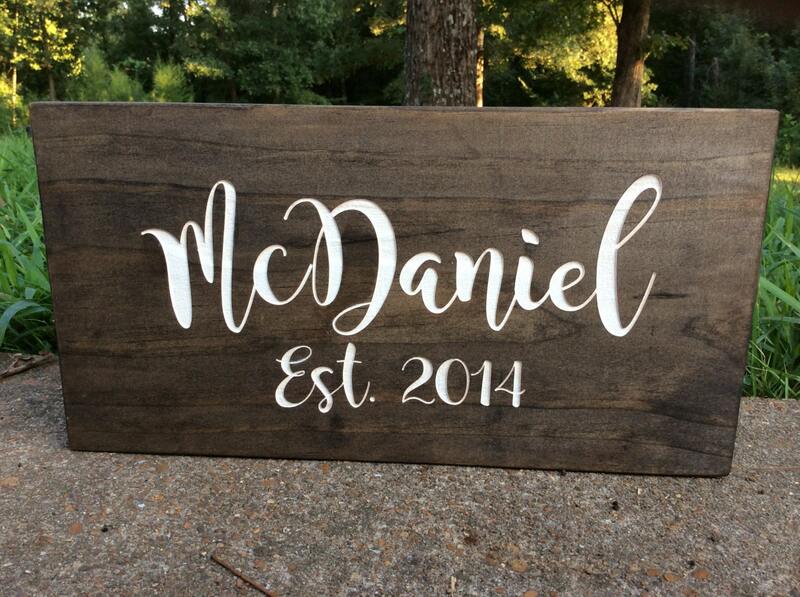 Perfect gift for a wedding, bridal shower, or anniversary. 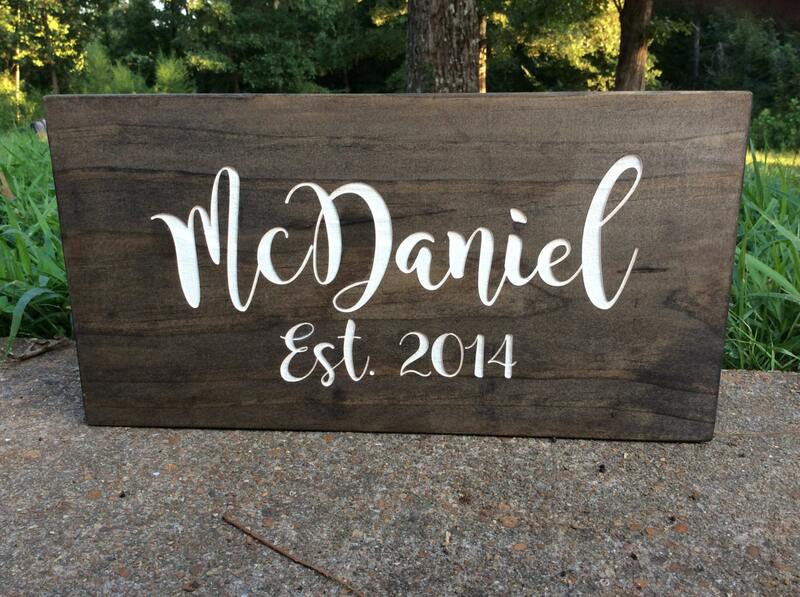 * WHAT YOU GET * One stained pine board with laser engraved name that is color filled with antique white acrylic paint. * MEASUREMENTS * Approximately 8" tall by 14" wide.